Located a short two minute walk from the Marine Hotel, Sea Haven Therapy has become one of the most unique Spa Facilities in Northern Ireland. Having had a lifetime interest in seaweed of his native coastline, Liam McBride has always had a desire to introduce its’ benefits to everyone and what better way than in its natural form in a warm bath overlooking the very coastline it is hand harvested from. The interest Halotherapy is more recent and knowing the therapeutic benefits of being and living by the sea this was a natural follow on from the seaweed therapy. The Halotherapy Salt Room mimics the Salt Caves and has amazing benefits for those suffering from respiratory and skin disorders as well as helping to strengthen the immune system. Liam felt this natural therapy with its’ many health benefits was the perfect complement to the seaweed baths. 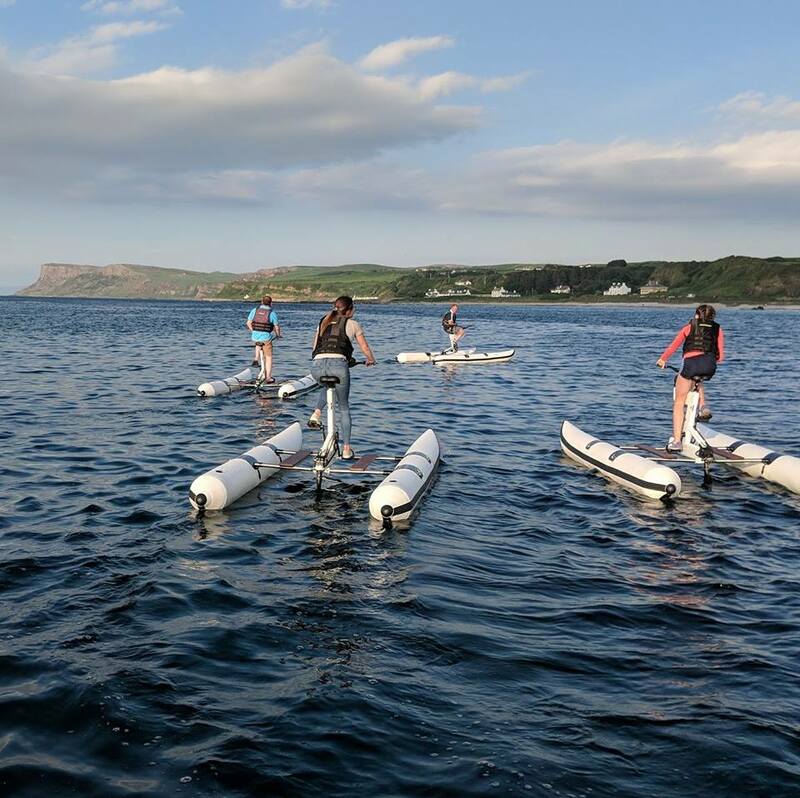 Experience the rush of cycling around Ballycastle Bay with these half bike, half catamaran Waterbikes. Simple to use and extremely stable.